Care: Our consultants are industry professionals with experience of working in their specialist sectors. They take the time and care to understand client and candidate needs alike. 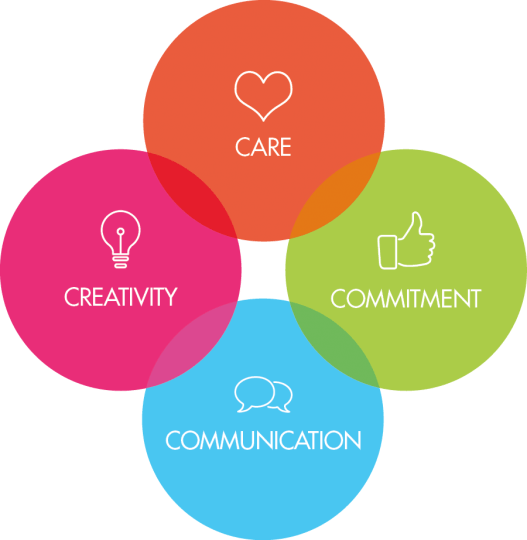 Commitment: We are committed to treating clients and candidates in an honest, timely and respectful way. We ensure we work to meet commitments on lead times and meet expectations all round. Communication: We believe this is key to our success. We strive to promote both internal and external communications so all parties are briefed at all times. Creativity: We like to be creative when engaging a new role and we like to go the extra mile We work together as a team, sharing our ideas enabling us to deliver high quality work.